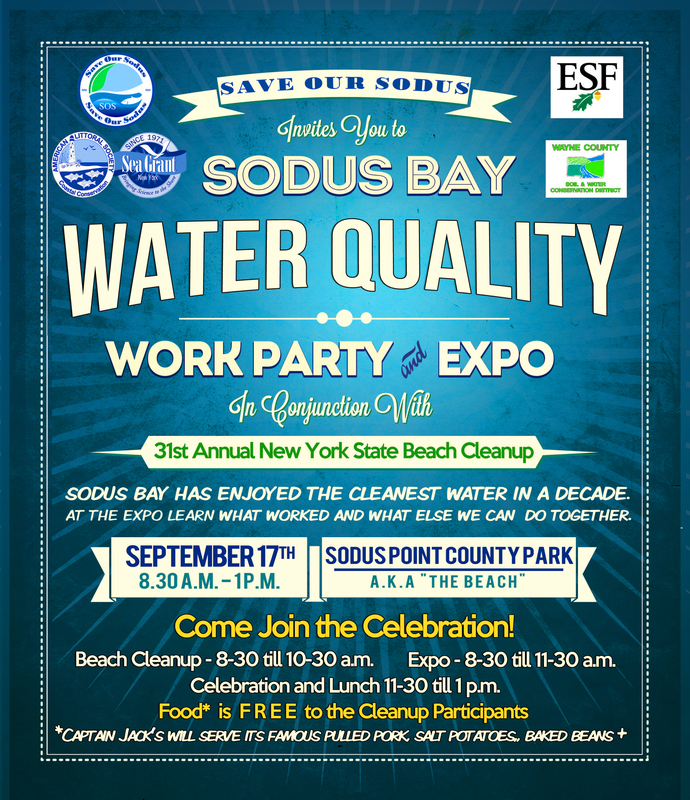 At the Expo NY State Sea Grant, Wayne County Soil and Water, and SUNY College for Environmental Science and Forestry will explain what worked and what else we can be doing together. 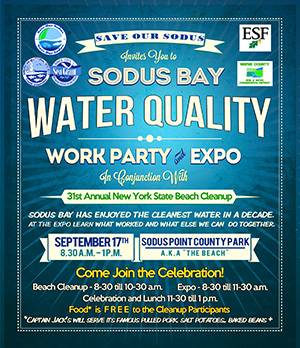 Beach Cleanup – 8-30 till 10-30 am. Celebration and Lunch 11-30 to 1 p.m (FREE TO THE PARTICIPANTS!) will be: Pulled Pork, Cole Slaw, Baked Beans, Mac Salad, Salt Potatoes, Soda and water.